There are two things for me that are synonymous with Sunday: breakfast and dread. Every Saturday night, we both feel it creeping on us. Subtle at first then head on. The dread that we are about to start another week. Not that we are at all displeased with the weekday content of our lives, it is by no means tortuous. There is no chain-ganging, pyramid-building or truffle-digging using only our teeth. We are just professional weekenders, fully enjoying the continuous relaxation that those 3-ish days bring. sleep, food, sleep, tv, reading, sleep, food, food, beach, sleep, friends, food, movie, sleep, pet projects, and so on and so on. We take full liberties with the weekend, slap it around and teach it a lesson. But despite this impending dread, it all washes away with breakfast on a Sunday morning, an institution in itself. Yes, brunch is definitely in this ballpark. Dinner gets all the glory, but breakfast is a renewal, especially after a full day off. 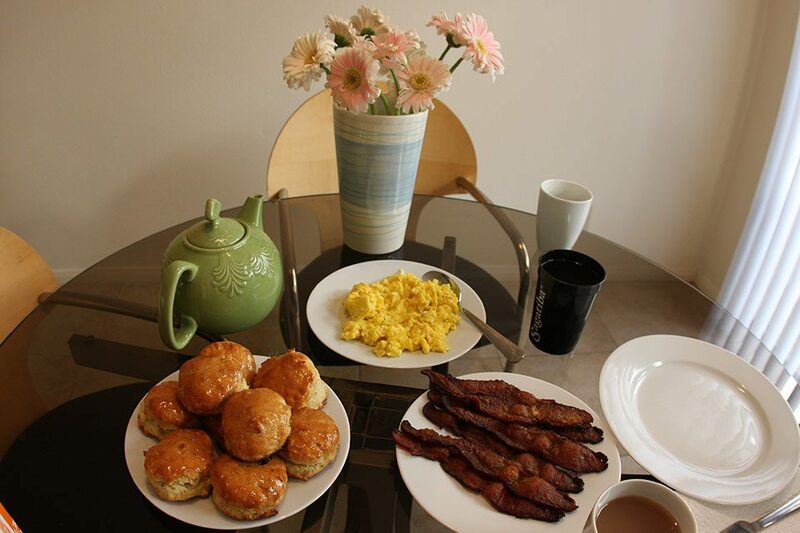 I look forward to that casual breakfast on a quiet Sunday morning every week. I regularly need a carbo-load aspect to my breakfast, and will always fancy a big biscuit. Buttery, fluffy and so warm they are still bit steamy are musts. 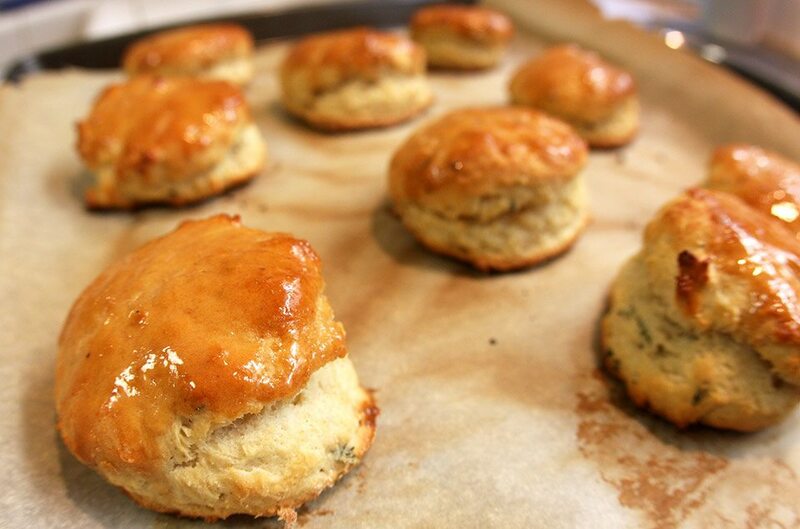 A honey thyme biscuit is the clincher. 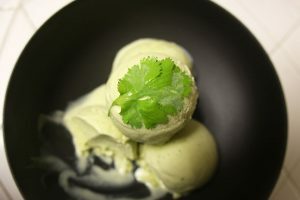 The result is mildly spicy of black pepper and fragrant with fresh thyme. Then….oh and then! Then they get glazed with honey butter. As if I had a choice in the matter. *If the thought of buying buttermilk and having most of it go to waste for lack of use makes your head hurt, then just make it. Combine 1 c milk and 1 tbsp fresh lemon juice. Place in fridge for 5m. Instant (practically) buttermilk! How miraculous! “Working to put buttermilk out of business since 1983”. Preheat oven to 450F (232C). Line cookie sheet with parchment paper. 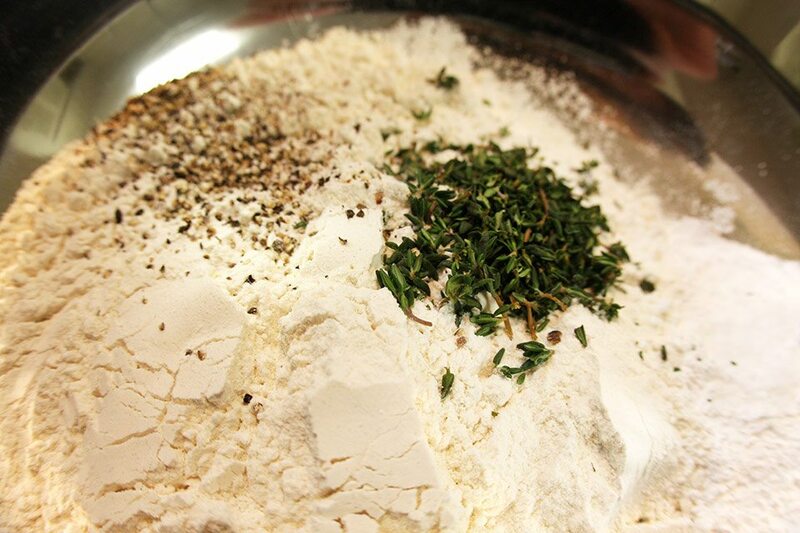 Combine flour, baking powder, baking soda, black pepper, thyme and salt in large bowl. Add butter and shortening (or lard). Using hands or pastry cutter, rub the the shortening and butter into the flour mix until mealy. Add buttermilk and stir to combine. Dough will be very sticky. 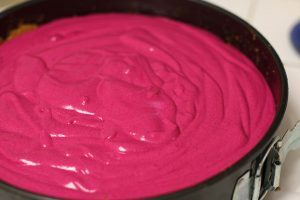 Turn dough out onto generously floured surface. 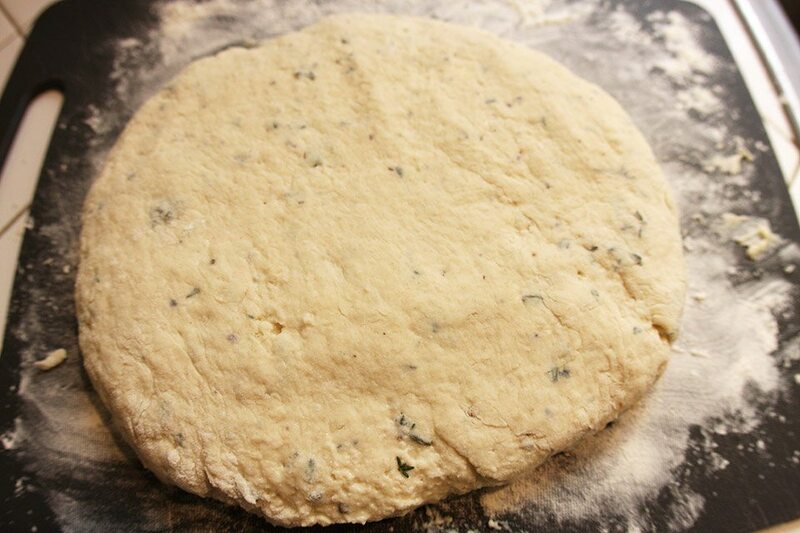 Sprinkle additional flour on top of the dough. 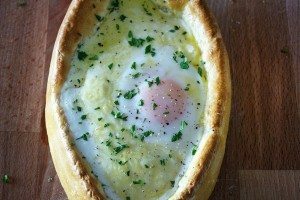 Gently knead the dough, folding it over the top of itself six times. Dough will still be very soft, but should no longer stick to your hands. Pat dough out to 1″ high. Using a 2″ cutter, or a juice glass as I am prone to do, cut out the biscuits. If using a glass, dust it with flour, cut out biscuits by pressing down firmly and twisting 1/4 turn. Gently fold scraps together and pat out again. Cut remaining biscuits. Discard scraps. Bake biscuits for 12m. While baking, heat 2 tbsp butter and honey in the microwave for 45s or so until melted. Stir to combine. 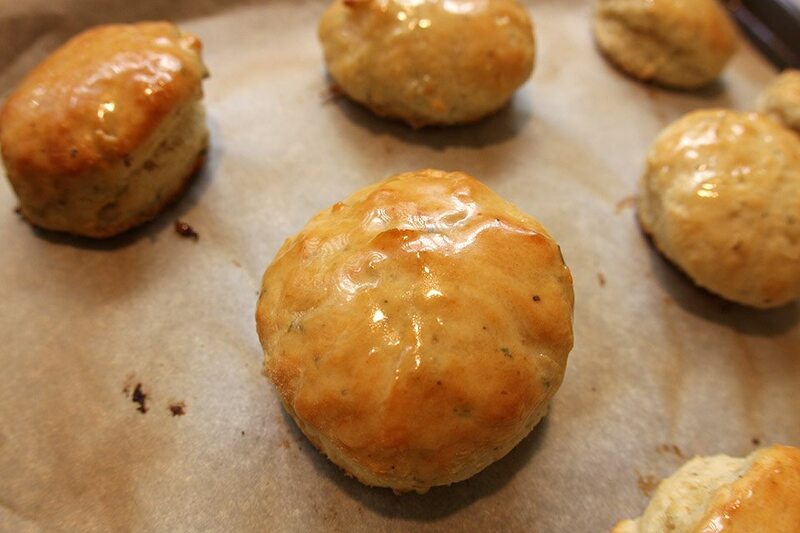 Remove biscuits and brush tops with honey butter. Continue baking biscuits for 3-4m until tops and bottoms are golden. Don’t over bake or the only purpose these biscuits will serve is to pelt the loud yippy dog next door. Don’t miss out on the cumin-crusted bacon portion of the breakfast agenda. That would be a tragedy. Sign up to receive the Nomad feed. Made these awesome biscuits with Italian sausage and sawmill gravy– AMAZING! The best biscuit recipe I've ever used!! Hi Emily – Glad you loved the biscuits! I bet they were delicious with sausage and gravy.